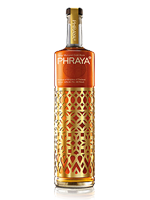 PHRAYA | Thai Spirits | International Beverage Holdings Ltd.
PHRAYA - meaning 'high ranking' - is a super-premium Thai rum, distilled, matured, blended, and bottled in the Kingdom of Thailand. Deep matured over cool lagoons in oak barrels, this rum of distinction is beautifully balanced and seamlessly smooth. Upon its coming of age between 7 and 12 years old, only the barrels containing the very finest spirits are selected for blending. PHRAYA packaging and liquid development truly reflect the brand philosophy of being 'the craft of refinement'.